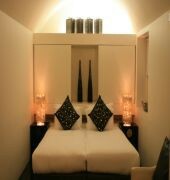 Designer boutique hotel In London. Nestled amongst the trendy neighbourhoods of Bayswater, Notting Hill and Portobello, The Hempel comprises 50 Individually designed guest rooms, suites and apartments each with its own minimalist style. Each room offers air conditioning, Egyptian cotton linen, complimentary wifi, Pay TV, European power adaptor, mp3 sound dock, minibar and safe.Stylish, sleek, and exceptionally original, the hotel is the perfect retreat for a relaxing weekend break or an overnight business trip. Being in residence gives you the opportunity to experience what it's like to live in London, rather than to like you're simply another visitor passing through. The immaculate Zen garden, as featured in the hit movie 'Notting Hill, provides a wonderfully private and Iconic space to indulge yourself in a good book, browse the Internet or stimulate some valuable blue sky thinking. The hotels No. 31 Lounge Bar has become a stylish favourite among savvy clientele from all over the city anti serves as an ideal venue for a mid morning coffee, light lunch or evening cocktails. 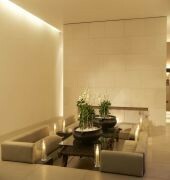 The HEMPEL HOTEL is a Tourist, Modern, Business, Leisure, Boutique, Honeymoon hotel. 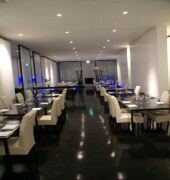 Located in City Centre - Paddington area. Shopping is within walking distance and the nightlife/restaurants are within walking distance from the hotel. 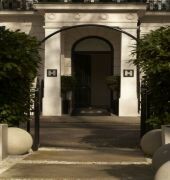 Descriptionclass="small" style="text-align: justify; font-size:11px;">Designer boutique hotel In London. Nestled amongst the trendy neighbourhoods of Bayswater, Notting Hill and Portobello, The Hempel comprises 50 Individually designed guest rooms, suites and apartments each with its own minimalist style. Each room offers air conditioning, Egyptian cotton linen, complimentary wifi, Pay TV, European power adaptor, mp3 sound dock, minibar and safe.Stylish, sleek, and exceptionally original, the hotel is the perfect retreat for a relaxing weekend break or an overnight business trip. Being in residence gives you the opportunity to experience what it's like to live in London, rather than to like you're simply another visitor passing through. The immaculate Zen garden, as featured in the hit movie 'Notting Hill, provides a wonderfully private and Iconic space to indulge yourself in a good book, browse the Internet or stimulate some valuable blue sky thinking. The hotels No. 31 Lounge Bar has become a stylish favourite among savvy clientele from all over the city anti serves as an ideal venue for a mid morning coffee, light lunch or evening cocktails.